Doctor B’s Kangaroo Recipe BARF is low in fat and high in protein. This makes it a good choice for cats with pancreatitis or obesity, or other conditions requiring a low fat diet. 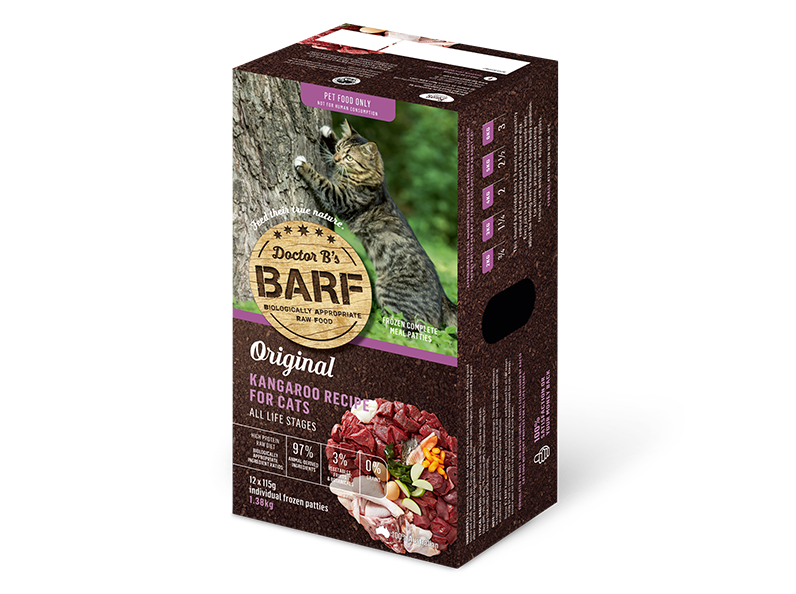 It is complete and balanced for all life stages of cats, but being low in fat makes it less suitable as the sole diet for a growing kitten, a pregnant or lactating queen or highly active outdoor cat, but it can be fed to these animals in rotation with Doctor B’s Turkey Recipe BARF.